All Keto Products - Buy One, Get One 50% Off! Use code BPI419KETOSUMMER at checkout. 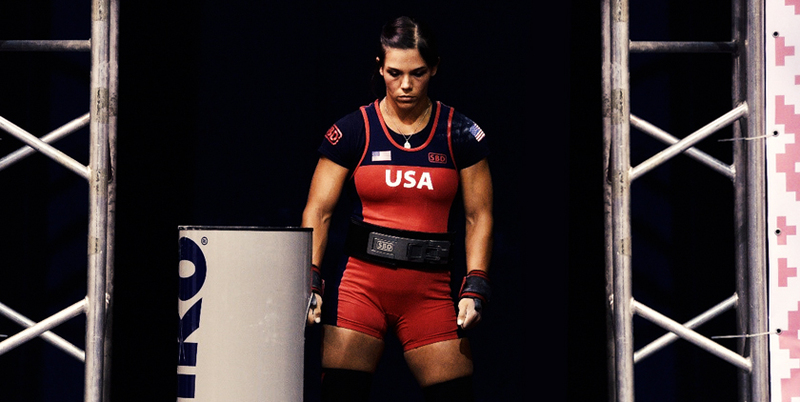 My name is Jennifer Millican and I am an International Powerlifting Federation World Champion. Now what? To be completely transparent, I have been struggling a bit with the answer to this question. As I have been thinking about writing this blog, I found myself thinking about my goal setting process along the way. When I was younger, high school and early college, I would set a goal, and typically just reach it. Things like running a 5k, running a half marathon, etc. But rarely did I pay much attention to the process of reaching the goal. This continued into my post college years and even in my early powerlifting days. While I’m stubborn enough to actually achieve most of the goals I set for myself despite my lack of preparation, I don’t believe I ever actually became better for achieving said goals. For instance, running a half marathon. I did it. I ran the half marathon, didn’t walk the entire time. My time was low average. Was I a better runner after that? Nope. Not at all. I call this going through the motions. A couple of years ago, this all changed. I decided to do a cut to the 114lb weight class. For context, at the time, I was about 130-133lbs. I learned quickly that I would not be able to go through the motions on this one. I was going to have to commit to this goal in every sense of the word. Learning to truly commit, and commit to it every day, sometimes several times a day, and not just on game day was a significant piece to the puzzle of my success. Even after making the cut to 114lbs, and having that commitment throughout the entire training cycle, I still had room for improvement. I’ve mentioned this article so many times, I’m starting to feel like a broken record. However, it had that much of an impact on my training and goal setting that I would be remiss if I didn’t include it. It is written by Dr. Mike Israetel and the subject is on the psychology of goal setting. From here, the strangest thing happened, I actually got better. I would go to meets and actually hit the numbers I knew I had. Then, something even more strange happened, I started to develop confidence. After I had some success, getting back in the gym, people would ask me what I wanted to do next. Wade, my coach said to me, “you simply have a new point A.” Training, commitment, process goals, performance goals, all those things are still the same, I just have a new starting point. So, I just have to define my new point B.
I have worked as a facilitator doing team building activities. We talk a lot about goal setting, particularly as a group. One of the activities has had a significant amount of influence on how I structure my own outcome goals. We do an activity that involves climbing a big pole. As a group, they have to decide what their minimum goal is; we ask them to define what their pass or fail grade is essentially. Then, they have thriving goals. Goals you hit when you’re in your stride. Then we have stretch goals. Goals you hit when you are on fire and you are unstoppable. This is exactly how I set up my meet day goals. I set an absolute minimum goal. If nothing else, I want to walk away with that. Next are thriving goals – what I’m really after. These are typically specific numbers for specific lifts. Stretch goals are often times a record I might be chasing, a specific wilks score or overall placing. Did you pass, fail or quit? After a meet, this is what I ask myself. Did I pass, fail, or quit? Now, this can be harsh to look at it in such definitive terms. There is no rationalizing effort, no praising of wildly successful days, it is simple and a no-frills evaluation approach. This is what works for me. After Nationals, I passed. After The Arnold, I failed. After Worlds, I passed. I set it up this way as to not get too hung up on any single success or failure. Quitting has typically not been a problem of mine. However, using this approach on those who are eternally “starting over” is quite effective. I need an evaluation system simply to determine my new point A. At The Arnold, my minimum goal was to total 1000lbs. I was 8lbs shy. I managed to hit a world record total and take second place. I could use that to stroke my ego a bit and feel good about myself. But for all intents and purposes, I failed. At Worlds, my minimum goal was to win gold. I passed. I also happened to set a world record squat and total. I also happened to win best overall female lifter. Stretch goals like whoa! However, I can’t get too stuck on that. Time only moves in one direction, and that is forward, and I want to move that direction, too. So, while competing at IPF Worlds, and doing as well as I did, was truly one of the greatest moments of my life, I must not get stuck there. I must put my head down, and get back to the process of getting from A to B. What Makes a Resolution Successful? Where Can I Buy Supplements? Available on most products. Order before 3pm (EST) Mon-Fri.
Not happy with your purchase? Send it back within 30 days for your money back. Place an order over $49 and shipping is on us! Returns are fast and easy! We will work with you! Be the first to receive exclusive promotions & featured content. BPI is in good standing with the FDA’s registration requirements as delineated in The Public Health Security and Bioterrorism Preparedness and Response Act of 2002. BPI and their Contract Manufacturing Organizations are third-party certified compliant with cGMPs (Current Good Manufacturing Practices) under 21 CFR part 111 regulated by the FDA.